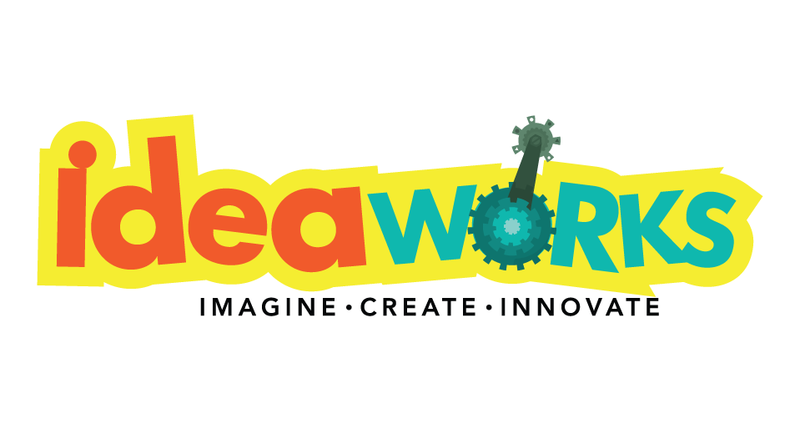 Design, create, tinker and build the structures, vehicles, fashions and inventions of the future! 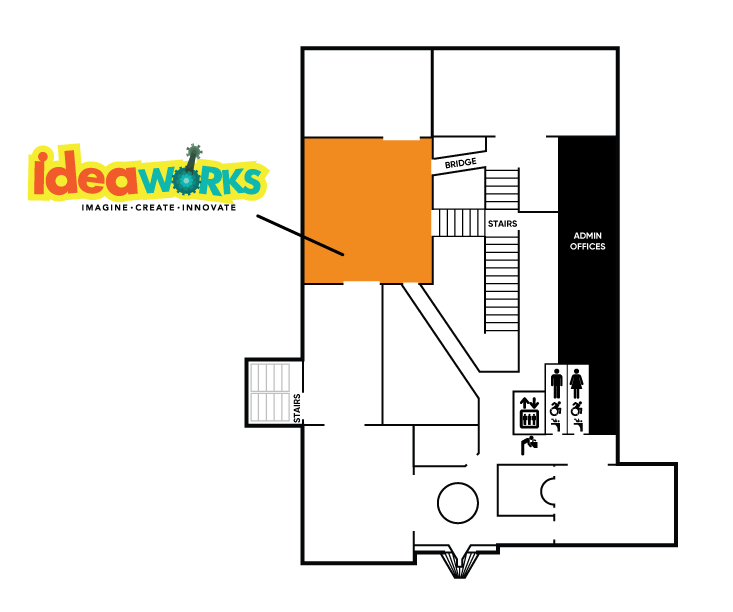 Inspire the next generation of architects, engineers, product designers, builders and dreamers in IdeaWorks. 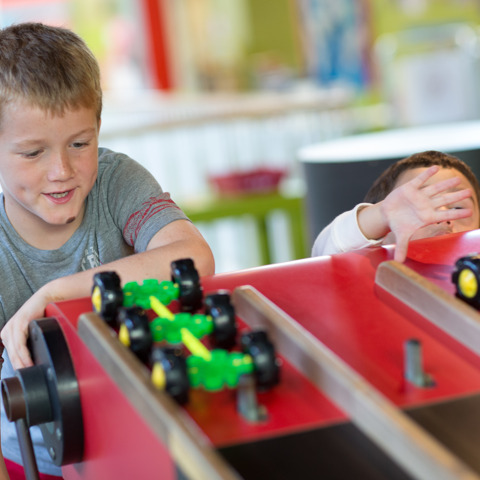 Go Zone - Discover the fun in physics as you design and race your own cars, create sets of tricky tracks for our marble runs and work under the hood of a kid-sized speedy roadster. Super Structures - Dream big, build big! 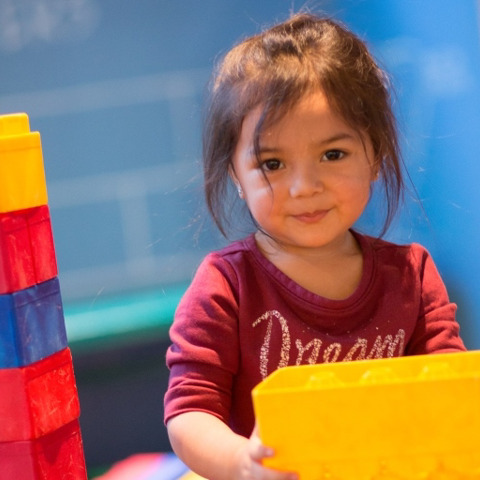 Become a contractor, engineer or architect as you imagine and construct fanciful forts, castles, dream houses and skyscrapers with colorful blocks. 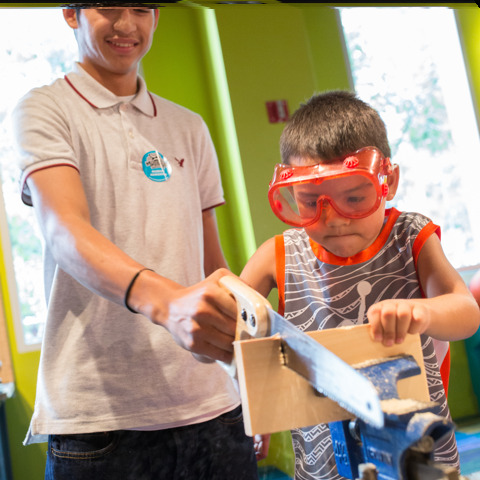 Work Bench - In this fully-stocked workbench, don safety goggles and aprons and use real saws, hand drills, vises and more to build your own innovative structures. Studio Style - Explore textiles, practice simple sewing techniques, dress paper kids in fanciful fabrics, craft accessories and add to our community loom. 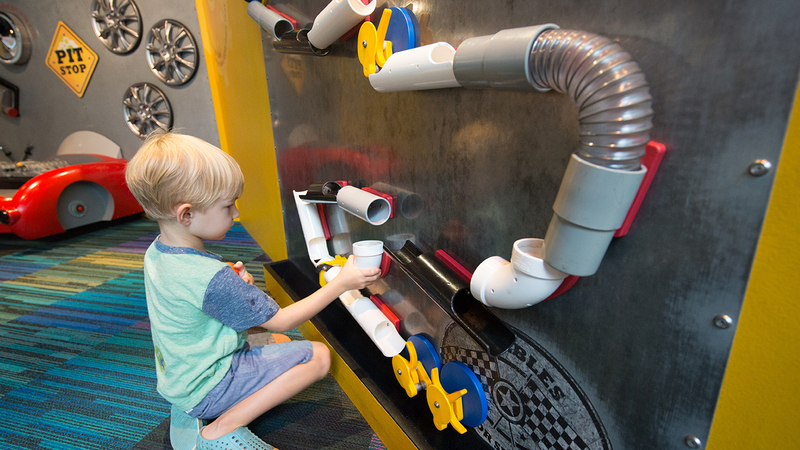 Toddler Tools - Tinkerers ages 3 and under explore pegs and blocks as you build fine motor and problem-solving skills in this safe, separated space.